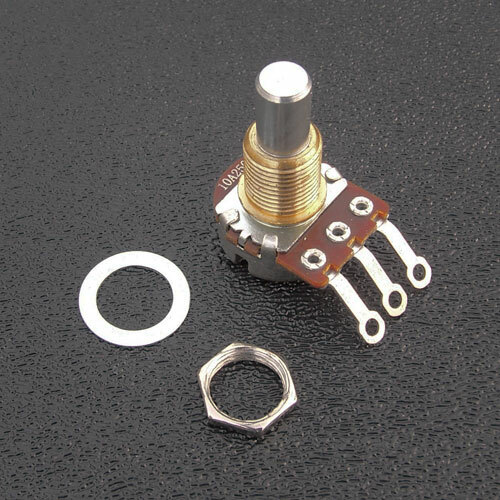 Bourns small case 17mm 250k audio taper potentiometer. Can be used for typical guitar electronics or specialized circuitry where the larger potentiometers just won't fit. Bourns 250k 10% Audio Taper Potentiometer. Includes Nut and Dress Washer. Don't forget the locking "Star Washers" for your project.